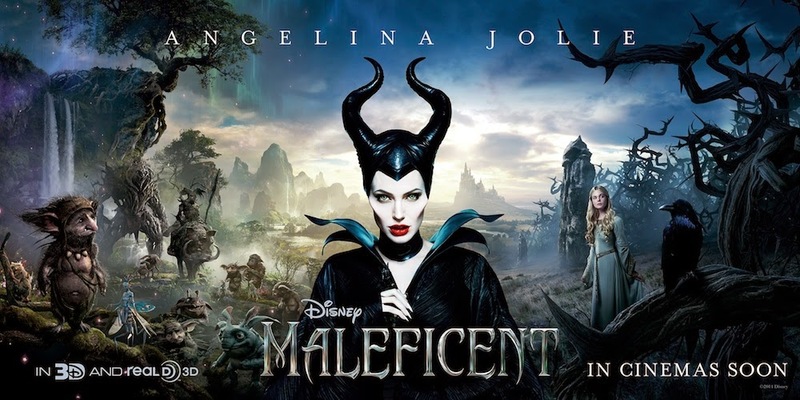 Maleficent (2014) is the directorial debut of two-time Oscar winning art director Robert Stromberg (who won for Avatar and Alice in Wonderland), and as a result it is as delicious visually as it is unfocused narratively. It feels like it's trying to be two movies, and this has caused audiences to have mixed reactions. The movie has for the most part been a popular success, making over $175 million worldwide at time of posting (approximately one week's worth of revenue), but critics have been skeptical with it only averaging a 50% on Rotten Tomatoes and 55% on Metacritic. Some of this discord arises from the natural gap between ticket sales and critical appraisal found in children's cinema, but here the film's conflicted nature will likely leave older audiences disappointed. On the one hand, Maleficent tells the dark tale of the eponymous troubled character originally introduced as the antagonist in Sleeping Beauty. It gives Angelina Jolie plenty of opportunity to showcase her sinister smile and chew some scenery while allowing fans to revel in an updated vision of one of their favorite villains. She's pitted against a crazed and violent Sharlto Copley (who surprisingly shows more restraint than in previous roles), and the story develops themes of vengeance and redemption. This is the story that was advertised heavily in trailers and the one which fans of the character most wanted to see. But this story takes up a small minority of the film's short run time with the rest dedicated to the relationship between Maleficent and the sleeping beauty herself, Princess Aurora. It's a tale of adoptive motherhood from the perspective of both mother and daughter, and as fellow reviewer Matt Singer rightly pointed out it's clear why the material appealed to Jolie. There a twist on the original tale which is quite reminiscent of Disney's recent major league success Frozen. This portion of the film is much more clearly intended for children and contains elements older audiences might find disappointing like airbrushed character development and inexperienced child actors. Both of Maleficent's two stories would be fine on their own, but they don't work very well together and people which come for one will probably dislike the other. Young audiences who easily identify with young characters on screen and enjoy the 3D gimmickry will undoubtedly have a fun time and there's nothing too dark for its PG rating, but I have a hard time imagining them finding the same enjoyment in Jolie's subdued villainy as older audiences or fans of the character. Conversely I found myself groaning and rolling my eyes at several of the points which would probably delight younger audiences. Overall the film is mostly functional and will certainly do its job of entertaining your offspring for 97 minutes. Jolie is really great in her role and Elle Fanning is about as good as it gets for someone her age. The costumes and special effects look quite nice and breathe a bit of new life into the world. But as the opening narration admits, this is definitely a retelling and I think the new tale is going to have a hard time finding the right audience to endure.